All T–Type differentials rebuilt and ratios changed to suit your requirements. Here are some of the procedures that are required to accurately set up a TD or TF differential. 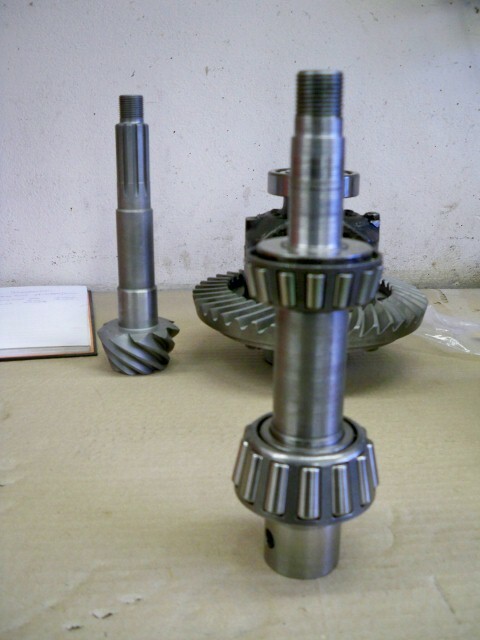 Here you can see the bearings assembled on the 'Dummy Pinion' which is part of the tooling required to establish the correct position for the pinion. Once this dimension has been found the pinion head shim cam be ground to size. 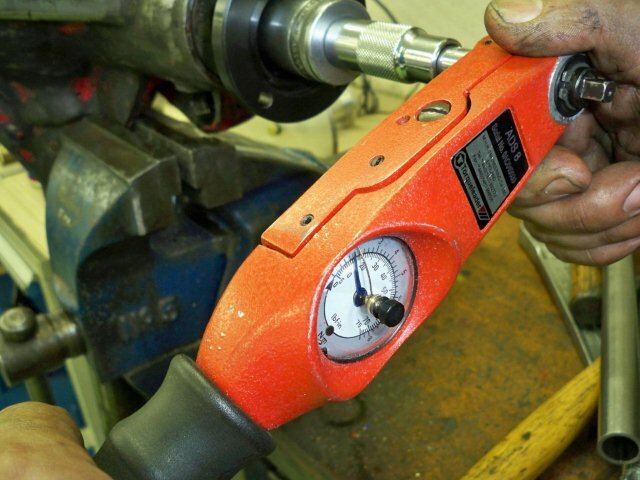 It is important to correctly set the Pinion Bearing preload. 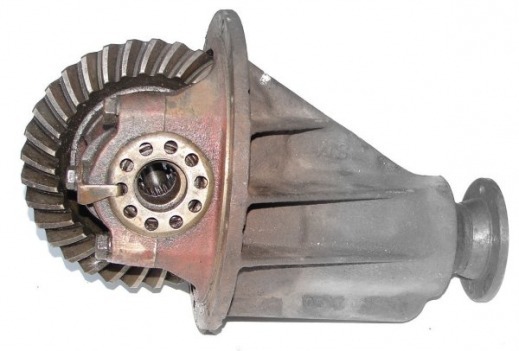 We achieve this by measuring the torque required to rotate the pinion. If you are doing this youself ensure you check it with the oil seal removed as this will increase the measured value. 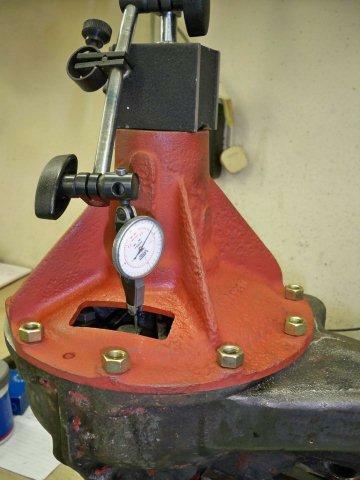 We then grind the pnion bearing spacer to achieve the correct torque. 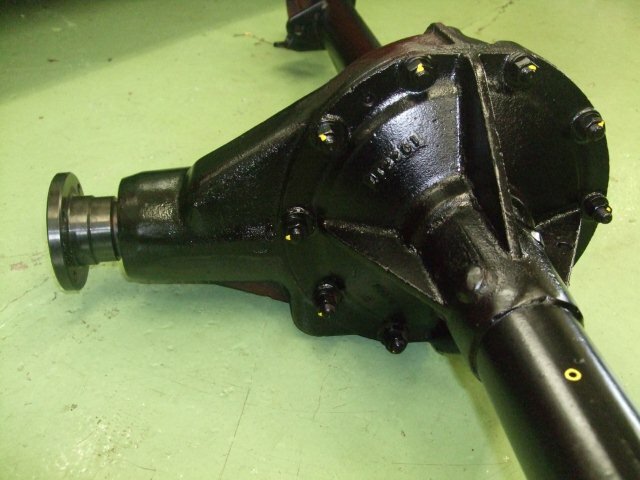 The Completed TF Axle painted and ready to fit back into the car.